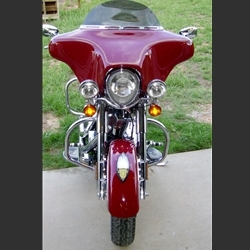 The Indian Chief fairing bolts onto the factory windshield bracket. Fairing works on years 2002 - 2013. Digital Marine Media Receiver AM/FM Tuner w/BlueTooth, Front Panel USB & Aux in.